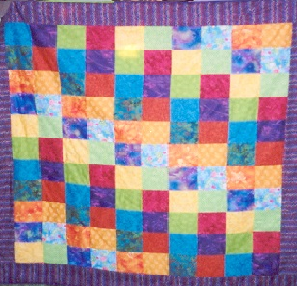 There is nothing more special to a friend, parent, sibling or grandparent than a quilt made especially by you. During this 5 day summer camp, students will learn to design a basic lap size quilt, learn about basic quilting supplies and develop basic sewing skills. Learn to properly use the rotary cutter, the importance of pressing, precision strip piecing, stitch-in-the-ditch, decorative stitching, machine embroidery and a lot more. Requirements: Pre-requisite: Completed Kids Basic sewing class or has basic sewing machine knowledge.